To save the life of Chetnik leader Draza Mihailovich, charged with treason, theAuthors Club of Los Angeles yesterday telegraphed Secretary of State Byrnes urging that he be granted United States citizenship. “The directors of the Authors Club of Los Angeles have directed me to urge upon you a possible method of saving the world from such a horror as the execution of Mihailovich, one of the earliest and most faithful fighters against Nazi tyranny. It chills the blood of Americans to think that so great a soldier for freedom should be put to death as its enemy. You have appealed to his captors to hear the testimony of the hundreds of American aviators whose lives and liberties he saved. 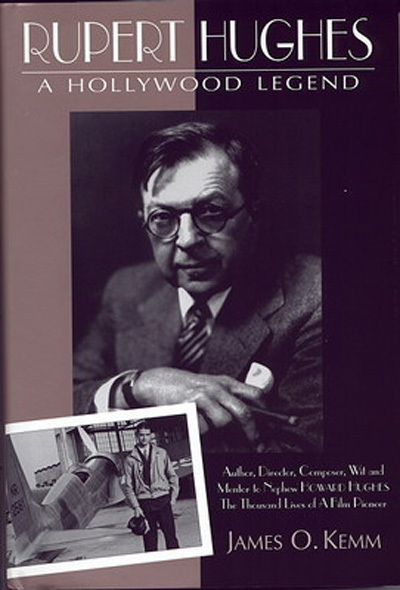 Rupert Hughes was a distinguished author, playwright, historian, screenwriter and movie director, becoming one of the most significant directors of Hollywood’s silent film era. Born in Missouri in 1876, he grew up in Iowa, migrated to New York and then California. His long military involvement began when he enlisted in the New York National Guard in 1897. Rupert Hughes was one of the founders and the first president of the Hollywood Writers Club which later became the Screen Writer’s Guild. He also headed the Screen Playwrights, the American Writers Association, and the Authors’ League of America. After a long and productive military and literary career, Rupert Hughes, uncle of billionaire Howard Hughes, died in Los Angeles in September of 1956.